Hay fever, otherwise known as seasonal allergic rhinitis, is an allergic reaction to airborne substances such as pollen that get into the upper respiratory passages - the nose, sinus, throat - and also the eyes. The name hay fever is misleading because symptoms don't just occur in autumn when hay is gathered and never include fever. Hay fever is the most common of all the allergic diseases - about 15 per cent of the population in industrialised countries suffer from this condition. Symptoms usually appear in childhood first and then lessen by the age of 30 or 40. Perennial allergic rhinitis is a similar allergy that occurs all year round and is caused by things such as house dust mites and pets. However the predominant allergen changes from time to time. Why do you get hay fever? Frequent sneezing is characteristic of hay fever. Different microscopic substances get into the nose and cause the body to produce antibodies and release histamine. Histamine irritates the upper respiratory passages, making them swell and producing the typical hay fever symptoms. tree pollen such as elder, elm, hazel and especially birch (spring hay fever). grass pollen (summer hay fever). mugwort and hybrids such as chrysanthemum (autumn hay fever). house dust mites and mould fungus - particularly associated with perennial allergic rhinitis. Frequent sneezing, a bunged up or runny nose. Itching on the roof of the mouth. Wheezing or a burning sensation in the throat. What can cause hay fever? The pollen to which you are allergic. Genetic predisposition associated with other atopic diseases, eg eczema or asthma. Often it will be enough to tell the doctor when, where, and how your symptoms occur. Skin tests and specific blood tests can be used to confirm what exactly you are allergic to. If your hay fever is caused by various pollens, try to keep doors and windows shut during the pollen season. Let someone else mow the lawn. Check pollen forecasts. Try to avoid outdoor activities if very high. Hay fever sufferers are more vulnerable to other allergic respiratory diseases, eg asthma, and sleeping difficulties that can lead to chronic fatigue (because of blocked nasal passages and snoring). If you suffer from hay fever you should do whatever you can to avoid substances that provoke hypersensitivity. Otherwise you will increase the risk of developing other, more serious, allergic diseases. Symptoms can be controlled through treatment, but you can't get rid of the allergy itself. However, hay fever is usually more of a nuisance than a harm to health, and the symptoms of many people improve over time. There are numerous medicines that can be used to relieve the symptoms of hay fever. Many of these are now available over-the-counter from pharmacies and your pharmacist will be able to advise on which are most suitable for you. The choice will often depend on which symptoms trouble you the most. Antihistamines prevent the histamine your body produces to the allergen from causing the allergic symptoms. They are good at relieving sneezing, itching and runny nose and eye symptoms, but are slightly less effective at reducing a blocked nose. newer medicines that cause less or no drowsiness, such as acrivastine (eg Benadryl allergy relief), cetirizine (eg Zirtek allergy tablets) and loratadine (eg Clarityn allergy tablets). Many people prefer to use the newer medicines because they can usually be taken once daily and allow you to get on with your daily activities without problems. Many antihistamines can be bought over-the-counter, but some, eg fexofenadine (Telfast), are available on prescription only. An antihistamine that is used directly in the nose is azelastine (Rhinolast nasal spray). It is only available on prescription. This can be used to provide rapid relief of sneezing, itching and runny nose, but has no effect on other symptoms such as itchy eyes. It can also be used regularly to prevent nasal symptoms, but is less effective than nasal corticosteroids. There are two nasal corticosteroid medicines that can be bought from pharmacies: beclometasone (eg Beconase hayfever nasal spray) and fluticasone (eg Flixonase allergy nasal spray). Others are also available on prescription only. Nasal steroids reduce inflammation in the nasal passages and are better than oral antihistamines at relieving most nasal symptoms, including a blocked nose. They also relieve eye symptoms. Nasal steroids have to be used regularly to be effective. They are best started a couple of weeks before the pollen season begins. Nasal sprays containing sodium cromoglicate (eg Rynacrom nasal spray)are also used to prevent nasal symptoms, ideally starting treatment a couple of weeks before the pollen season. They are less effective than nasal corticosteroids, but are often the first choice for young children. Nose drops and sprays containing decongestants such as xylometazoline (eg Otrivine nasal spray, Sudafed decongestant nasal spray) can be bought over-the-counter to treat a blocked nose. They should only be used for a few days, otherwise they can cause ‘rebound congestion’ when you stop using them. Antihistamine eye drops can be useful if eye symptoms are your biggest problem. They include antazoline (Otrivine antistin), which you can buy from pharmacies, and azelastine (Optilast), epinastine (Relestat), ketotifen (Zaditen) and olopatadine (Opatanol), which must be prescribed by your doctor. The drops provide rapid relief from itchy, red, watery eyes. Drops containing sodium cromoglicate (eg Clarityn allergy eye drops, Optrex allergy eye drops) or nedocromil sodium (Rapitil eye drops) should be used regularly, as with nasal cromoglicate products, to prevent the allergic reaction occurring. Cromoglicate drops can be bought from pharmacies and are also suitable if eye symptoms prevail. This treatment is only used when allergen avoidance and medicines have proved ineffective at treating a severe allergy. Injections of small amounts of the known allergy-causing substance are given to create tolerance to the allergen and prevent the immune system producing too much histamine when it encounters it. This treatment has to take place over a long time and requires strict adherence. It is a reaction by your immune system to a normal amount of a particular food. This reaction happens every time that food is eaten. Although food allergies are rare, they are most common in children under the age of four. allergic cold (itchy, streaming eyes and nose). How do food allergies begin? A hypersensitive reaction towards food is usually a type 1 allergic reaction to something in the diet. This means your child's immune system produces a class of antibodies called IgE in response to a particular food. These antibodies cause the allergic symptoms. Almost one third of the population omit certain foods from their diet or their children's diet because they believe they cause an allergic reaction. In fact, only about 3 per cent of children suffer allergic reactions towards food, and most will outgrow them before they reach the age of three. Type 1 allergic diseases are to some extent inherited. For this reason you may want to talk to your GP or allergy specialist before you get pregnant if there is a family history of allergy, hay fever, eczema or asthma. Do not put your child on a strange restricted diet that could result in malnutrition. A change in your child's bowel movements is not a sign of food allergy. It is completely normal for a child's bowel movements to change if their diet is changed. Most importantly: relax. Don't assume that your child is suffering from a food allergy until this has been confirmed by an allergy specialist. A diet that eliminates the food is the main treatment for this type of allergy. In rare cases, eating even a small amount of the food can cause anaphylactic shock (severe difficulty breathing and heart malfunction), leading to collapse. Anaphylactic shock needs immediate treatment with adrenaline, so seek medical help straight away if your child suddenly begins to have difficulty breathing. You can be allergic to all kinds of food, but reactions to shellfish, milk and nuts are more common. Food allergy is when your immune system reacts to a particular food. This causes inflammation of the body's tissues, which in some cases can be life-threatening. It should not be confused with food intolerance, which is completely different. In both cases you get symptoms when you eat even small quantities of certain foods. But food intolerance is not caused by the immune system. This means symptoms are usually limited to the digestive system (vomiting, diarrhoea) and are rarely life-threatening. A lot of people avoid eating certain foods because they mistakenly believe they are allergic to them. Actual food allergy is rare and tends to run in families. Only 5 to 8 in 100 infants and 1 to 2 in 100 adults have a food allergy. You are more at risk if you or any family members have other allergic diseases, such as eczema, asthma and hay fever. If you suspect that you are allergic to a type of food, you should get a diagnosis from your doctor or a qualified specialist in allergic diseases before making substantial changes to your diet. Why do you become allergic to food? You develop an allergy when your immune system overreacts to foreign proteins and produces antibodies that attack the body's own tissues. The foreign protein that causes the reaction is known as an allergen. In food allergy, a particular type of food is the allergen. A food allergy is a type 1 allergy. In this type of allergy, the immune system produces antibodies called IgE-antibody in response to the allergen. The body only produces IgE after exposure to the allergen. This means your body will produce more IgE the next time you eat that food. If enough of this antibody is produced, it will cause symptoms, such as rash and swelling. You cannot get allergic symptoms the first time you eat a new kind of food. But because traces of foods are found within other foods, eg nuts in chocolate, you may not be aware of the first time you came into contact with a particular allergen. tree nuts – such as walnuts, brazil nuts, almonds and pistachios. Sometimes a food can be exposed to other allergens and they can cause your body to react to the food. This is known as a 'cross- reaction'. potato peel, tomato and carrot. Grass cross-reacts with beans and green peas. Allergic reactions vary a lot and can begin immediately after you eat the food or start several hours later. The symptoms below are typical of food allergy. Swollen lips, face or throat. Itchy sensation in the mouth and lips. Vomiting, stomach cramp and diarrhoea. Rash, nettle rash and pre-existing eczema may get worse. Once you have become sensitised to a food, your immune system produces more antibodies every time you eat that food. This means symptoms that are mild one day can be serious the next. If you have a food allergy, you should never put yourself at risk of a reaction to make life easier when eating out or at other people's houses. In rare cases, eating even a tiny amount of the food can cause anaphylactic shock. This is a life-threatening reaction by the immune system that causes the airways to narrow and heart to malfunction. It needs immediate treatment with adrenaline. If you suddenly begin to have difficulty breathing, get medical treatment right away. The extent of the doctor's examination depends on the severity of the symptoms. A prick-test of the allergen on your skin or a RAST blood test may be useful to eliminate allergies. Unfortunately, they often show reactions that have no practical significance. For this reason, allergy testing should be performed and evaluated by experts. Test kits that are available in health food shops and over the internet are not reliable indicators of allergy. To confirm diagnosis, an allergist (a specialist in allergic diseases), will suggest the following programme. Two weeks on a normal varied diet while keeping a detailed diary of everything eaten and any reactions. If you have a reaction, that food should be avoided over the following two weeks while you continue to keep the diary. If your symptoms get considerably better, the next step is to try an open provocation of your allergy by deliberately eating the food that may be causing your problems. If the symptoms return, you will be given more provocations where neither you nor the allergist know whether you are eating the suspected food. This is to eliminate any psychological cause for a reaction and is called a 'challenge test'. This is normally carried out in a supervised hospital environment for safety reasons. This is the usual procedure to obtain a diagnosis of food allergy. Complementary therapists often offer 'food allergy testing' using methods such as kinesiology, VEGA testing and hair analysis but these are not scientifically proven nor accurate so are best avoided to prevent an incorrect diagnosis. Bowel symptoms can be due to an inflammatory condition in the intestinal canal such as ulcerative colitis and Crohn's disease. The most important treatment is to stop eating the food that triggers your allergy. Medical treatment can ease symptoms but will not cure the disease. Typically, antihistamines will relieve the itching, but they are unlikely to prevent allergic symptoms. What complications can food allergy cause? Most people with food allergy are able to live a normal life with only a few restrictions in their diet. Complications are rare and include the following. It becomes harder to get all the nutrients you need, which can lead to associated problems of malnutrition such as anaemia. The mucous membranes in your mouth and throat may swell and cause difficulty in breathing. Asthma attacks and anaphylactic shock may occur. What can you do to avoid an allergic reaction? You should look out for the things you are allergic to and note any cross-reactions. Your allergist can provide guidance on which foods you can and cannot eat. Be aware of the symptoms and consult your doctor whenever you are in doubt about something. Seek immediate medical help if you have sudden difficulty breathing. In This Article I'm Going to Post you all The Possible Varieties Of Emoticons Available in Facebook because some of you are unaware of all the smiles used in Facebook. 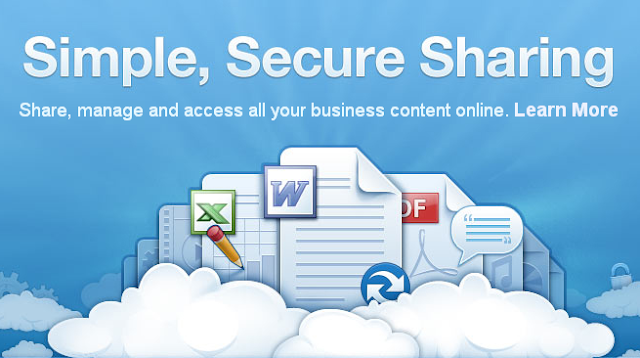 With my previous Post update-your-facebook-status-via-popular, i'm here Back with the Best Free Cloud computing system which provides a secure File Hosting of 5GB. It is Box. Now you Can host your Files, Personal images on web without any tension.. Box lets you manage all your content online, which can access anywhere. Box makes it easy to share files, while providing controls to help keep content secure. Keep files on your desktop synced with Box and select Box folders to access on the desktop. Whether it’s a document, presentation or image, you can view files right inside Box. Preview a variety of files, from Microsoft Word, Excel and PowerPoint to Adobe Photoshop and Flash. Find files fast using Box’s full-text search feature. Get A Free $50 Google AdWords Voucher! Giveaway of the Day - Save the Snails!